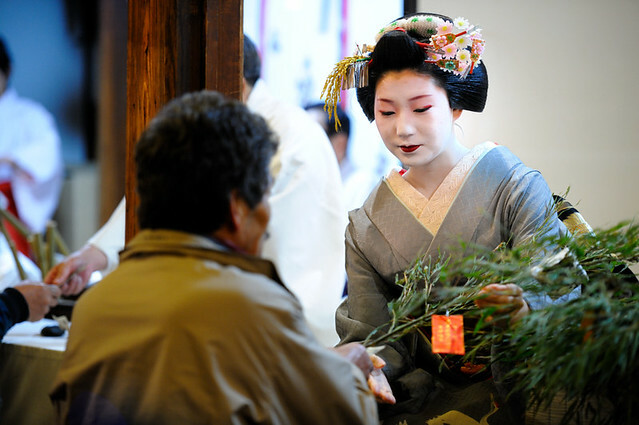 Topic: Frank Sinatra with Geisha? Have any of you guys read this book? If so, tell us what you thought of it. Topic: Suzuka - Kanazawa, Ishikawa Prefecture - ? Topic: Kikuya - Nara - ? She's on the cardboard-backing advertisement for a chain like the one holding up her bib in the photo. But wasn't Yuiko still a maiko in 1998 :? ? These photos are at least 19 years old, maybe even more (I don't know the exact age, only the time the books were published). 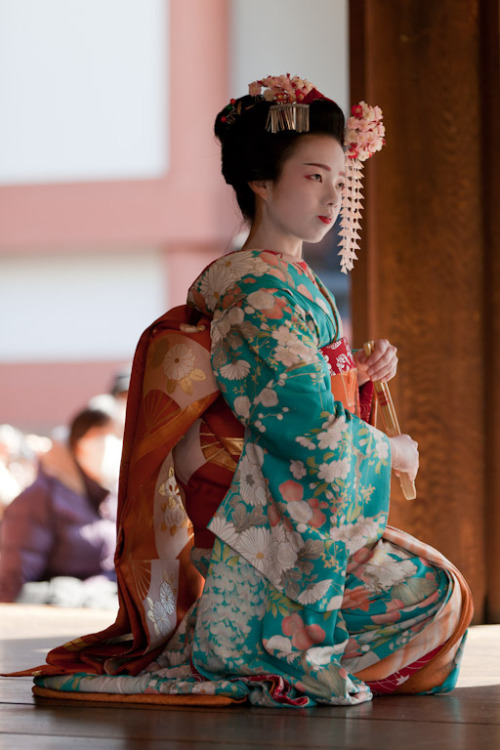 Mameka was maiko in 1990 so that is possible (it would be great if that would be she :smil3: ). 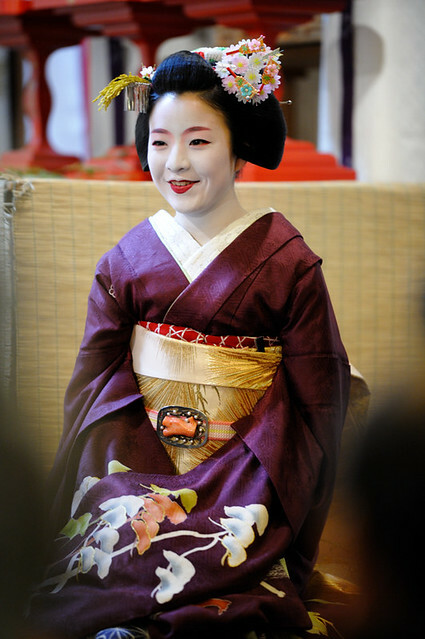 I think the first maiko might be retired geiko Yuiko. 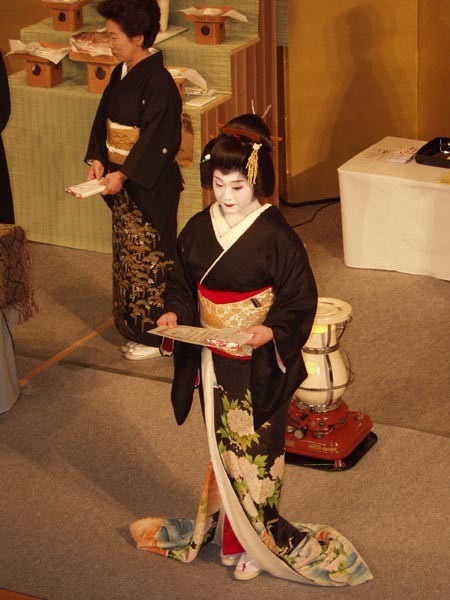 And the second one might be the now natori geiko Mameka. 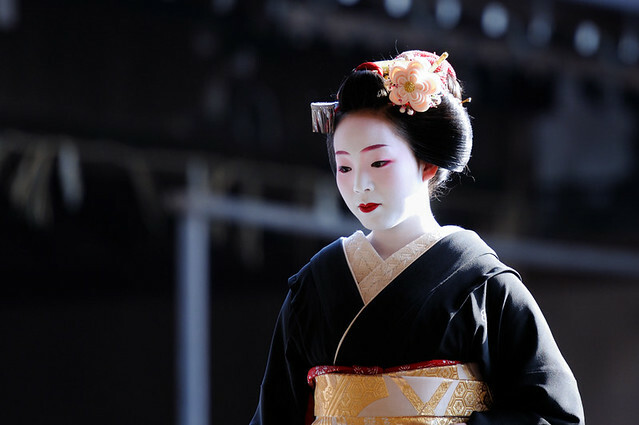 I am sure she is a geiko now...but I can't remember her name. She was at the Kentucky Derby in 2000. Her name is Katsumi (佳つ實). She is 17! 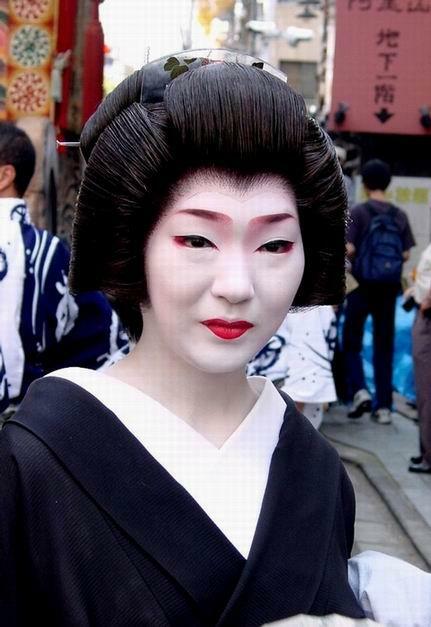 I can't imagine her as a Geiko. She's too cute! 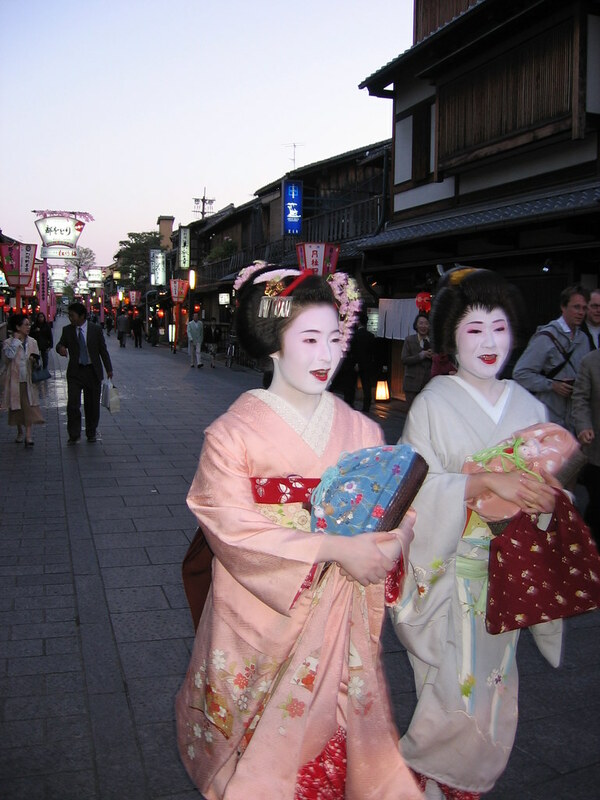 That is Mamechika of Gion Kobu. She has retired from the profession. anko: You guys are really awesome at knowing who these Maiko and Geisha are, so I thought I'd throw some things up to see if you happened to know them! 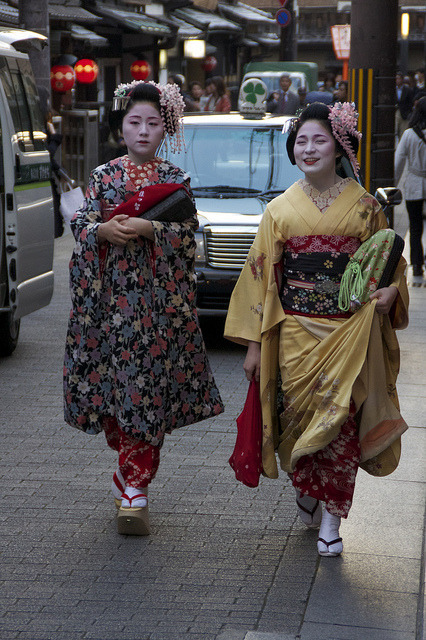 http://img.photobucket.com/albums/v211/allroses/permanents/100_4999.jpg This is from April 2008 in the Gion district at the pre-dance tea ceremony. 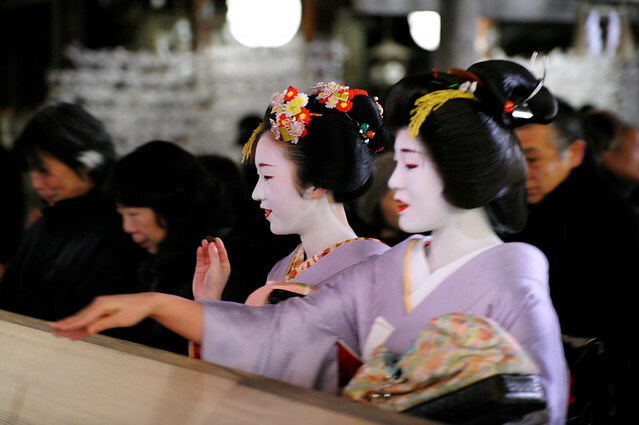 Topic: Ichiyoshi - Pontocho - ? 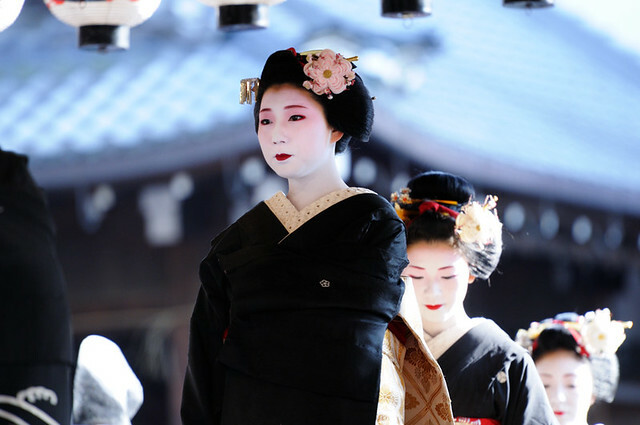 The Geiko in the front is Mamehiro. Behind her is Mameka and Mameryo. 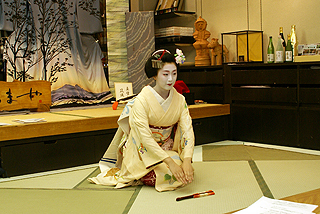 In the other photo is Geiko Katsuno. She kind of reminds me of Ichisue. But thats just my guess. 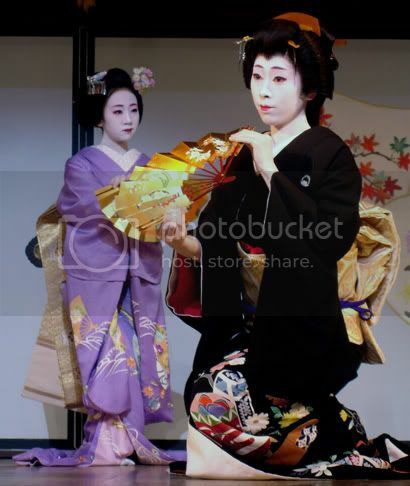 Yes, I think the Geiko is Fukuteru, and the maiko is Fukuai. the pictures diffently looks like naokazu. Melissa says that she had her debut around 2 years ago, but that was in march of 2007, given that I think that might be her. My guess from the shape of the eyes as well as the shape of her mouth.